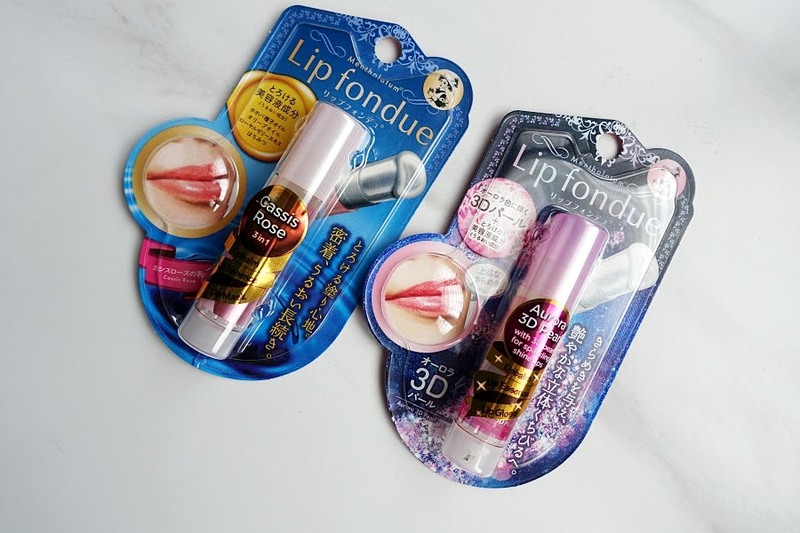 JQ Talks: Lip Fondue Lip Balm? This has the weirdest texture on earth! Seriously! I received this last month and I got really curious about this lip product that I immediately ripped open both packaging. I mean, it literally looks like it's going to melt on your lips. Plus, I love mentholatum products as most of them have that cooling sensation that I love. Lip Essence - Enriched with royal jelly extract, honey and olive oil that penetrates into the skin layers to replenish moisture for a firmer appearance. Lip Balm - Enhanced with super soft formulation to provide intense and long lasting moisture. Lip Gloss/Lip Mask - Aurora 3D Pearl Lip Fondue serves as a lip gloss with 3D pearl twinkles in response to light to produce a more 3 dimensional lips. Cassis Rose Lip Fondue can be used overnight as a "leave-on mask" to help moisture and nourish your lip. 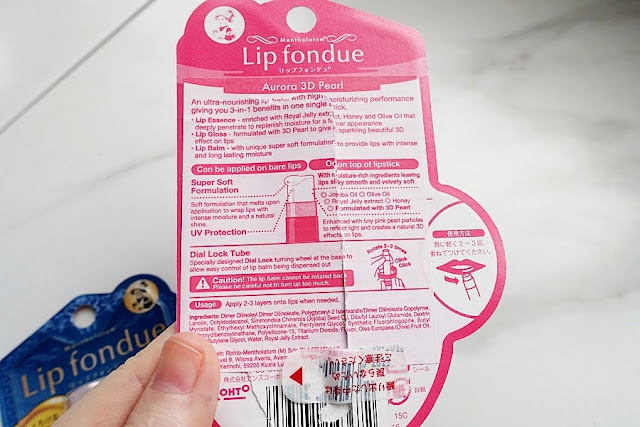 The first advise I would give is to not turn this lipbalm up too much as it does have the dial lock tube where once you've screw them up, you are literally screwed as there's no turning back. So only dial up a small amount at a time. I seriously don't think 3 layers is possible, at most 2 layers because the consistency is pretty thick after having it melting on your lips. I'm serious, when I first apply this, I was freaking out because it felt like chocolate melting in your fingers under a scorching hot weather. It's amazing but does take some time to get used to this feeling. 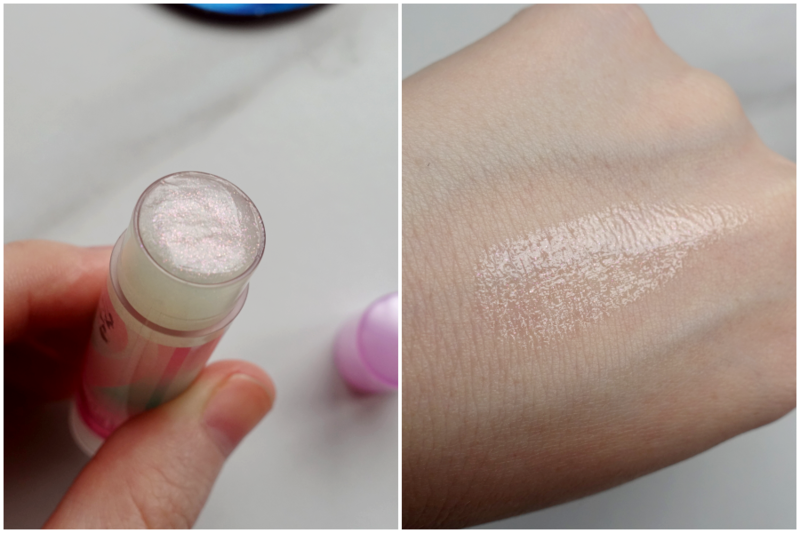 I can feel that it's definitely very moisturising on the lip for both variants however you can't really tell the difference between them both unless someone is looking at your lips up close that one has some sparkly reflects in it. The smell on Cassis Rose Lip Fondue is overpowering with what I think is passionfruit scent. Usually, I do quite like passionfruit as it leans to a little more to the sourish side but this scent is pretty overwhelming for me, as in at times, I can feel like it's a little to much for me. While Aurora 3D Pearl Lip Fondue has a mild sweet honey scent, almost nothing in fact. 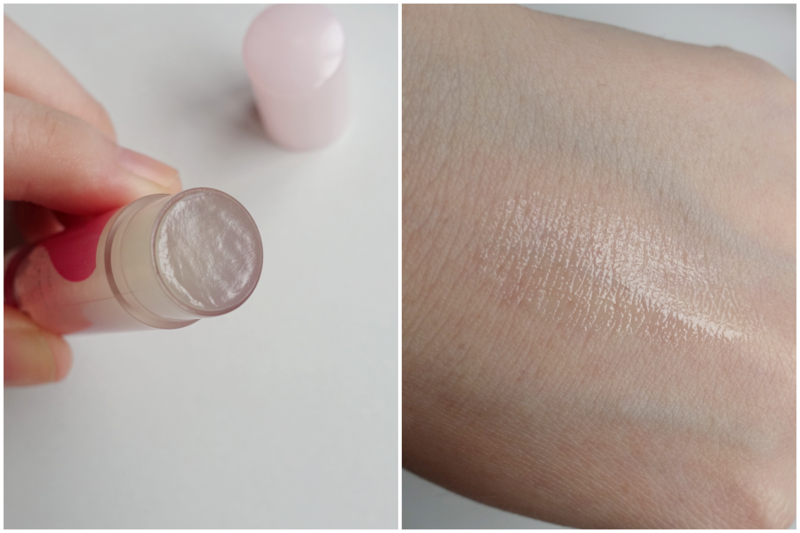 If you hate that thick, sticky feeling of a lip balm, this is not for you. I don't mind them as they are really moisturising and gives some gloss and life to my lips. I can also apply this over a lipstick if ever it gets drying. I can see how this can be really good for those who are going through a severe dry, chapped lips. Also, it will definitely be great in winter time because it does last pretty long on the lips. RM17.90 each. Available exclusively at all Guardian Pharmacies in Malaysia.